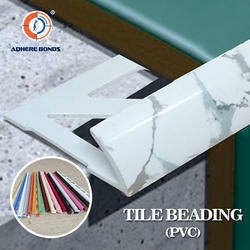 We are the Leading manufacturers and Suppliers of the PVC Tile Beadings. Made out of PVC. 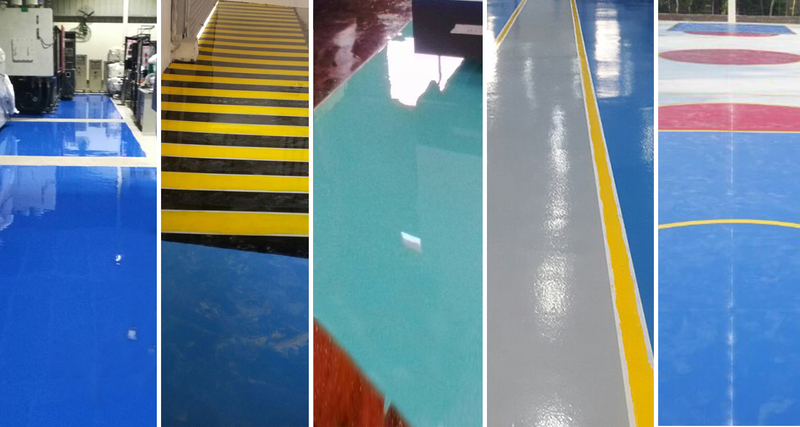 To protect tile edges internal & external. Tile Edges, External & Internal corners. Highly durable, Creates seamless joints enhances appearence. Colour : Available in All eye catching shades. Adhere Trims are long strips of molded plastic with the average length of 7Ft. Adhere Trimscome in a variety of depth and colors. 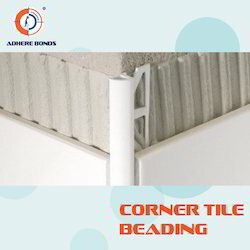 Adhere Trims fit on the tile edge hence the name tile edging for protecting the tile edges. Adhere Trims available in all pleasing Color Shade, sizes are 7mm,10.5mm & 12mm. 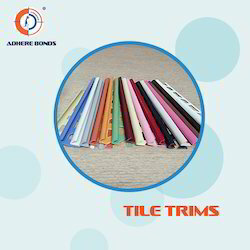 Adhere Tile Trims used on internal corners and external corners are mainly used for protecting the tiles external edges where two tiles meet at 90 with each other. 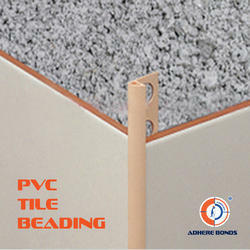 We are the Leading manufacturers and Suppliers of the PVC Tile Beadings. Made out of PVC. To protect tile edges internal & external. Applications : Tile Edges, External & Internal corners. Advantages : Highly durable, Creates seamless joints enhances appearence. Application Tile Edges, External & Internal corners. 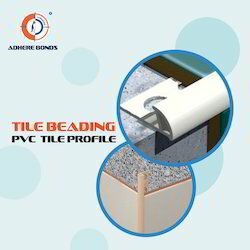 We are the Leading manufacturers and Suppliers of the PVC Tile Profile Beadings. Made out of PVC. To protect tile edges internal & external.